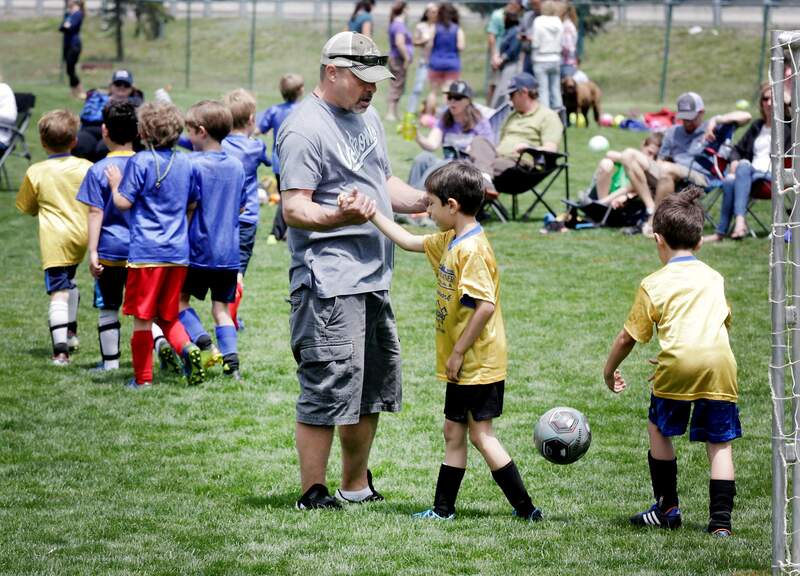 Adam Weber encourages his son Jeremy Weber, 6, while playing soccer in Santa Rita Park on Saturday. Jeremy is also the son of Rosa Weber. Traveling to support kids’ activities can have advantages, such as giving families extra time together, building camaraderie among friends and even giving kids time to do a little homework. Parents cheer on their children as they play soccer in Santa Rita Park. Living in the Four Corners can put extra demands on parents when it’s time to travel to away games or activities in faraway cities. 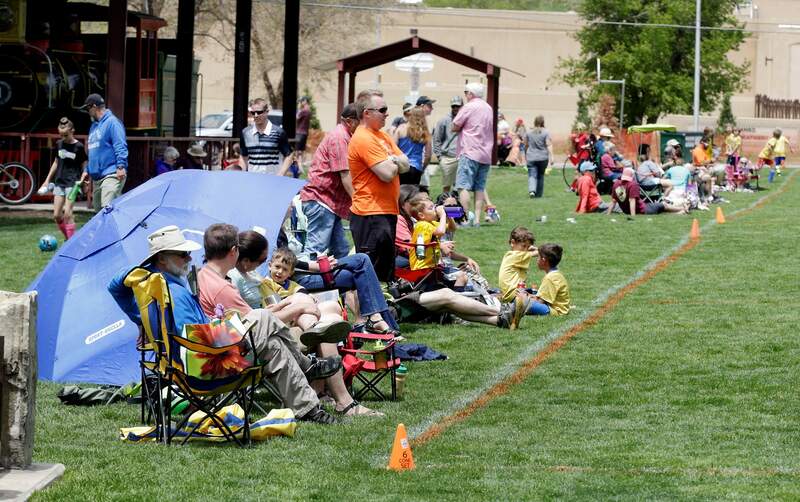 Parents cheer watch their children play soccer in Santa Rita Park. Being a parent requires endless dedication. Dedication to keeping your child alive, healthy, fed, educated and happy. Then, there are the extracurricular activities. For those of us living in the Four Corners, these extra commitments can mean hours in the car traveling from one event to the next. 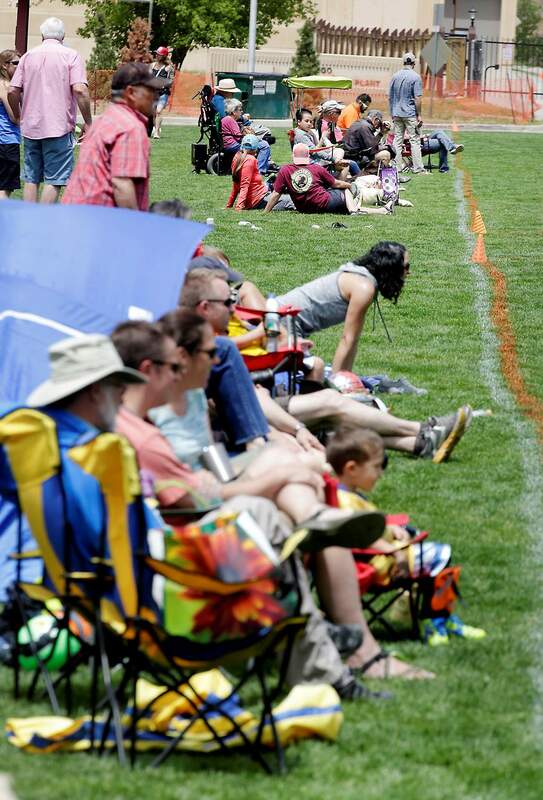 Lisa Vila Fischetti of Telluride was in Durango last weekend with her 6-year-old daughter, Ella, for a girls lacrosse tournament at the Riverview Sports Complex. Instead of waking up at the crack of dawn to drive from Telluride, the family decided to make a trip of it. With all the time spent in the car and on the sidelines, for parents, is it still fun? The Sommers family of Telluride, also at the tournament, is fairly new to traveling for activities. So far, they are having a good time. “This is our first traveling experience this season, not just lacrosse, but for hockey and for skiing, so now we’re loving it,” said dad Chris Sommers. “It’s our off-season in Telluride, so it’s a great opportunity to get out. “All her friends and all our friends are in it, so it’s fun to get out and stay in hotels and make a weekend of it,” he said. And for local mom, Jill Carithers, who lives on the Dryside with her family, this has been a relatively easy season. The two Carithers kids, Annabel, 10, and Finnigan, 11, haven’t had games too far away. However the seasons turn out, it’s worth it, she said. But for the families logging miles – and hours – in the car traveling to kids’ activities, is there a point where it may get to be too much? It’s not just the parents spending time in the car – it’s the kids as well. For Cynthia and Chris Sommers’ daughter, Lilly, 9, the ride from Telluride was a good time to work on homework. When it comes down to it, the region’s wide open spaces are just a fact of life for some activities.